I don’t often read crime fiction, so this isn’t going to be a regular crime fiction review. 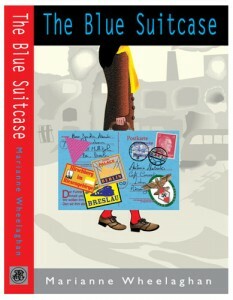 However, having read Marianne‘s earlier book The Blue Suitcase (which I reviewed here) and having been invited to the launch of Food of Ghosts (a tropical themed event that brightened up a chilly Edinburgh evening) I was keen to buy and read this, Marianne’s debut crime novel! 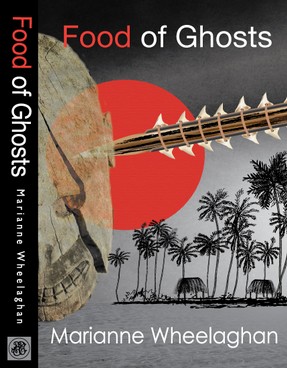 Food for Ghosts is set on Tarawa, a coral atoll in the Pacific republic of Kiribati. 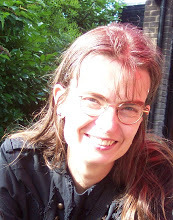 It features Detective Sergeant Louisa Townsend, who was born in Tarawa but has lived most of her life in Edinburgh. She has only just got to the island when she finds herself investigating a violent murder case.I thought the novel was excellent at conveying culture shock with an admirable honesty about the fact that sometimes you don’t like the place you find yourself. (I remember this myself from when I first arrived in Malawi and there were certain aspects of the culture which I never got used to in the two years I lived there, much though overall I grew to love the country). As a writer you want to be respectful of a foreign culture you’re writing about, but you also want to be honest. In Food of Ghosts the reader can really empathise with Louise’s discomfort with the culture shock she experiences, not least her extended family deciding that the best way to welcome her to the island is to camp in her back garden. 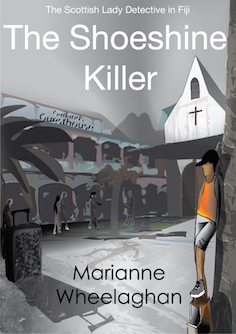 It’s a very readable story, set in a fascinating location and with an intriguing cast of characters both Kiribati and expatriate.